~~ Did you hear the one about the writer who was in a car accident and is so grateful that she and her family walked away? Now you did. ~~ An acquaintance just quit her job of more than 20 years because the new regime that came in when her old boss died treated her derisively. Having interacted with this trio from the outside, I know exactly why she fled. But what a shame that instead of a retirement party, she got a “See you!” and a half-hearted wave as she walked away. ~~ If one more person gripes to me about their vacation inconveniences I may actually blow my tightly wound stack. Look, I don’t begrudge you a vacation, though I haven’t had one in more than seven years. However, it’s kind of ridiculous to answer a simple “How are you?” with a four-minute monologue about delayed planes and hotel rooms where the room service ends at 10:00 pm. And the indignity of all indignities, a tour guide who spoke with such a pronounced lisp that you actually had to tune him out and take a 30-minute nap on the bus. You poor vacationer, you. ~~ Shut up, John Boehner. 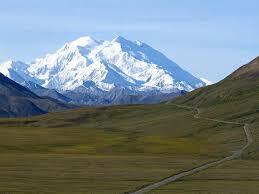 If the people of Alaska want to keep calling their mountain Denali, then you should find a mountain in Ohio you can name after McKinley. 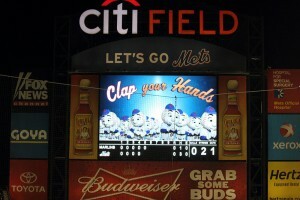 ~~ Second-to-last grumpy remark for today — the sound design at Citi Field is absolutely ridiculous these days. Fans used to be able to get a “Let’s go Mets” or other chant going and build it louder and louder. Last week, every chant was halted in its tracks within 10 seconds by a exhortation such as “EVERYBODY CLAP YOUR HANDS” or Kevin James insisting that I cheer when I was already doing so. Hey, PA person: take off your headphones and listen. If fans are already making noise, let us be. We paid to get in and we want to cheer what we want to cheer, and we want to chant what we want to chant. Save your soundtrack for when the team is down by 10 and the manager is trotting one lame-o after another lame-o onto the mound. ~~ Anybody got a pretty penny I may borrow?